You may have been told to cut down on salt, fat, sugar and other “unhealthy” ingredients in order to lower your blood pressure. So instead, you’re forced to load your dish with greens and fruits, and maybe take some herbs or supplements. But there is one ingredient – that could be the key to curing high blood pressure – that has almost been completely ignored until now. And there’s at least an 85% chance that you’ll jump up and down with joy after reading about this popular ingredient that you should load into your diet. According to recent evidence, the sources of protein in your daily diet might be the missing link to preventing and reducing high blood pressure. And, point-for-point on the blood pressure scale, the amount of benefits obtained from protein is on par with lifestyle factors, such as exercise and the DASH diet. Your artery walls as well as the muscles that line them and allow them to expand and contract are made of protein. As it turns out, certain amino acids – the building blocks of protein – are more important than others when it comes to building strong arteries. In a study of 2,000 women, it was found that those who consumed more than seven of the amino acids known to be heart-protective showed lower blood pressure levels and more flexible arteries than the cohort who consumed less of the same amino acids. Scientists found that participants with high vegetable protein diets had lower pressure in the main artery that was closest to the heart –a useful indicator of how hard the heart has to work to push blood out to the body. By contrast, certain animal-derived amino acids were found to make the arteries suppler. The bottom-line would thus be that the best diet for healthy blood pressure, according to the researchers, would be one that emphasizes many plant foods along with moderate amounts of lean meat. So, let’s take a look at the seven amino acids that were used from the study, how they lower blood pressure, along with the foods in which they are found in. Glutamic acid, arginine, cysteine, glycine and histidine all raise levels of nitric oxide, a potent blood vessel dilator. Cysteine is also a component of the antioxidant glutathione, which decreases oxidative stress on arteries and improves insulin resistance. This keeps arteries healthy and assists in the prevention of high blood pressure by preventing high blood sugar. Additionally, glycine contributes to the structure of collagen and elastin – two proteins that make the walls of your arteries both flexible and expandable. 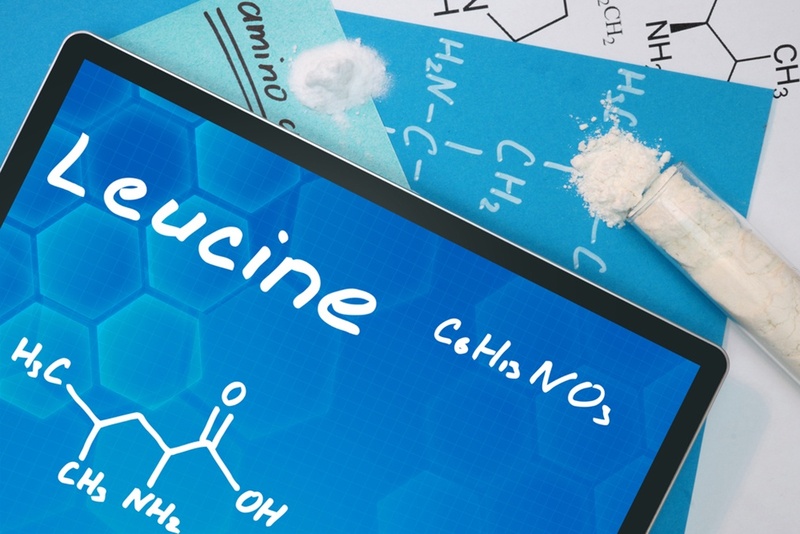 Leucine lowers blood pressure by decreasing fat production and increasing muscle mass. Tyrosine is converted into a nerve-stimulating neuro-transmitter epinephrine, also known as adrenaline. Though adrenaline raises blood pressure temporarily, its overall effect is to lower the resting blood pressure. • Glutamic acid – Plant sources of glutamic acid may be even more effective than animal sources at lowering blood pressure. According to one study, a meal containing pea protein resulted in higher nitric oxide levels than a meal based on egg white. Good sources of glutamic acid include salmon, chicken, soy and sesame seeds. • Arginine – Fish, chicken, mung bean sprouts, chocolate, and wheat germ are all excellent sources of arginine. • Cysteine – Foods high in cysteine include ground mustard seed, cod, soybeans, sunflower seeds, and legumes. • Glycine – Present in fish, meat, beans, nuts, and dairy. • Histidine – Calms the nervous system and puts you in a relaxed mode. Found in high quantities in meats, soy, fish, nuts, whole grains, and seeds. • Leucine – This branched-chain amino acid is famously present in whey protein – a byproduct of cheese manufacture – and is a favorite of athletes and people seeking to lose weight. Dairy products, soybeans, beef, pumpkin seeds, tuna, and peanuts are good sources of leucine. • Tyrosine – Good sources of tyrosine include seaweed, egg whites, cottage cheese, turkey, and mustard greens.